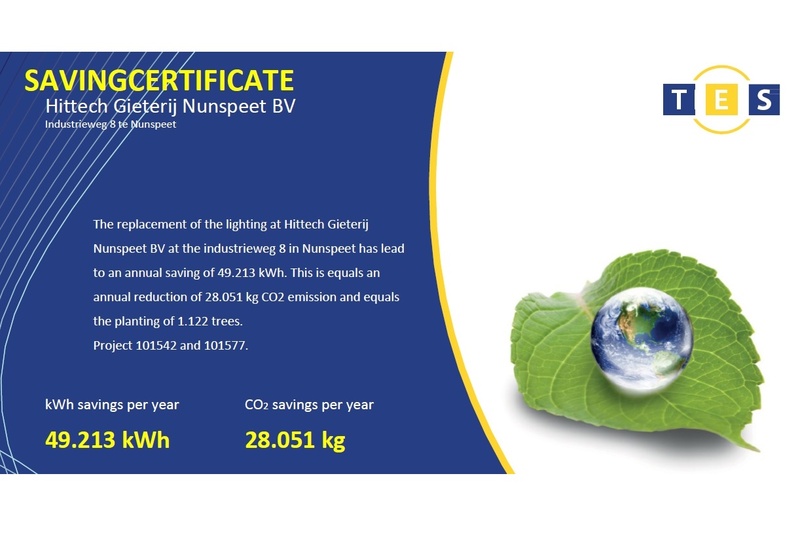 In the beginning of 2018, Hittech Gieterij Nunspeet replaced the entire lighting system by high efficiently LED. The quality of the lighting improved, which created a better environment for our employees to work in. Besides this advantage it also reduced the C02 output with 28.051 kg, equal to the planting of 1.122 trees.